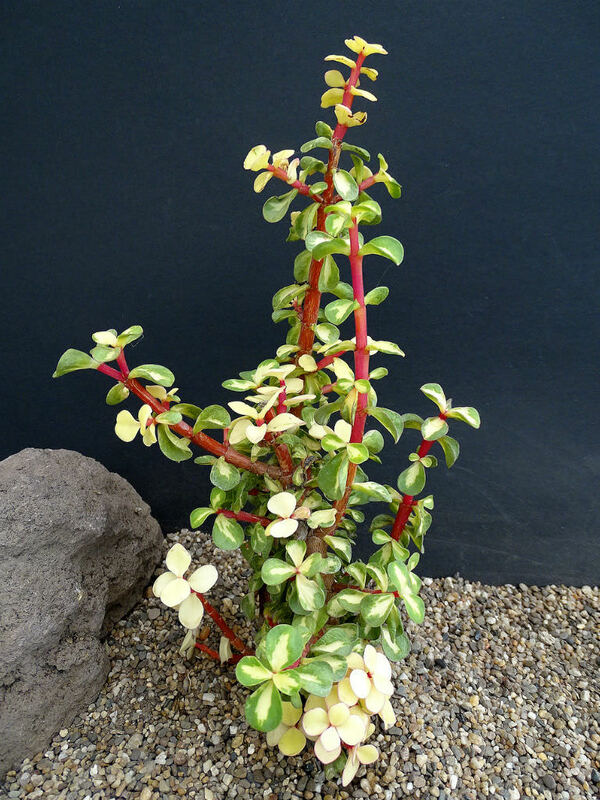 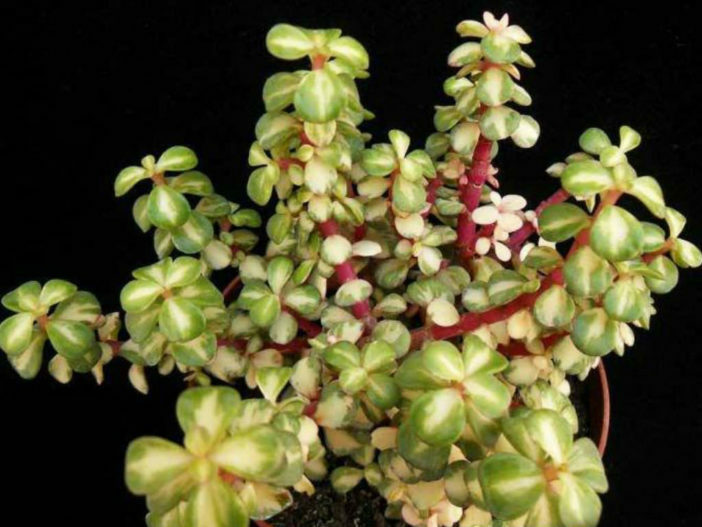 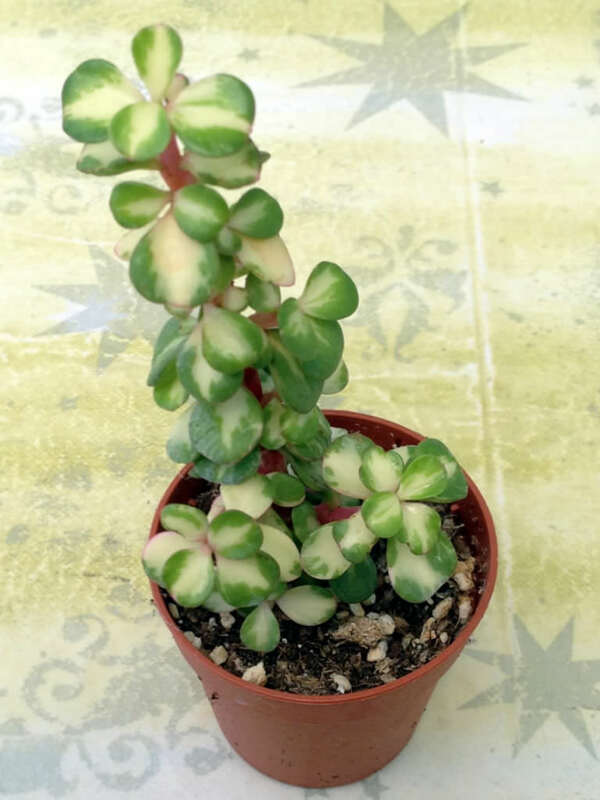 Portulacaria afra ‘Medio-picta’ is a very slow growing succulent shrub with attractive bright reddish pink stems, holding small 0.5 inch (1.2 cm) long, ovate, green leaves that have wide white stripes down their middle, sometimes with leaves having little or no green. 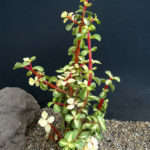 Flowers are pink, star-shaped and in small clusters. 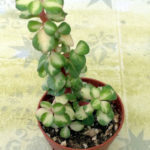 Like most succulents, Elephant Bush is easy to reproduce from cuttings. 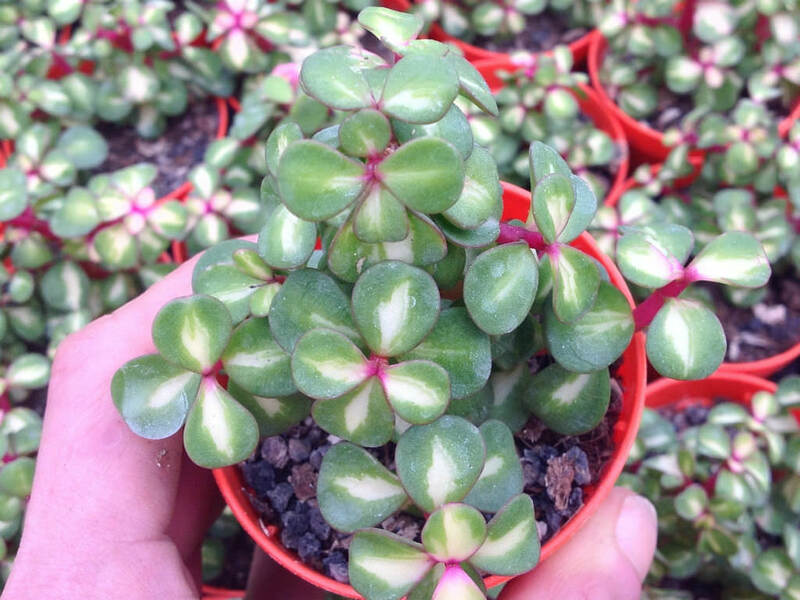 Take cuttings in spring or summer for best results. 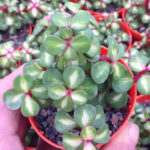 Let the cutting dry out and callous for a couple of days and then plant the cutting in damp gritty soil in a small pot… – See more at: How to Grow and Care for an Elephant Bush (Portulacaria afra).